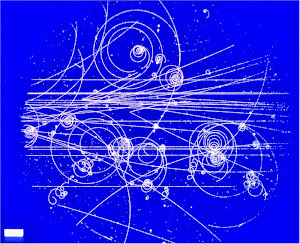 Dynamical systems like the three-body system studied by Poincaré are best described in phase space, in which dimensions correspond to the dynamical variables, such as position and momentum, that allow the system to be described by a set of first-order ordinary differential equations. The prevailing view had long been that, left alone, a conventional classical system will eventually settle toward either a steady state, described by a point in phase space; a periodic state, described by a closed loop; or a quasi-periodic state, which exhibits n > 1 incommensurable periodic modes and is described by an n-dimensional torus in phase space. The three-body trajectories calculated by Poincaré fit into none of those categories. Rather, he observed that “each curve never intersects itself, but must fold upon itself in very complex fashion so as to intersect infinitely often each apex of the grid. One must be struck by the complexity of this shape, which I do not even attempt to illustrate,” as paraphrased in English in ref., p.414. What Poincaré refused to draw is now widely known as a homoclinic tangle, a canonical manifestation of chaos having fractal geometry. 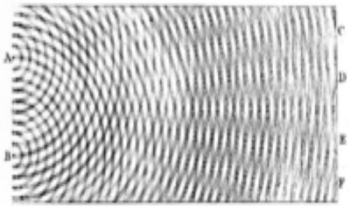 (An image of the tangle can be seen in figure 4 of the article by David Nolte, PHYSICS TODAY, April 2010, p.33.) Poincaré’s results, independent findings by Jacques Hadamard, and experimental hints of chaos seen by their contemporaries were dismissed by many as pathologies or artifacts of noise or methodological shortcomings and were referred to as a “gallery of monsters” . It would take nearly another century for chao s theory to gain a lasting foothold. The paper goes on to explain the 1963 paper by MIT meteorologist Edward Lorenz. Another paper, Chaos at Fifty Four in 2013, credits a Russian for 1959 work predating Lorenz.